WORCESTER, Mass. /Massachusetts Newswire/ — “Everyone deserves to spend the holidays with their family and friends—our furry friends are no exception,” says Worcester Animal Rescue League (WARL). WARL is having a special promotion this weekend to encourage adoptions. From Friday, December 12 through Sunday, Dec. 14, 2014, adoption fees on adult cats and dogs will be lowered. And on Saturday, December 13, from 12 to 3 p.m., WARL will be hosting a special book signing by Sheri Bready Photography. During this special promotion, the adoption fee for cats over one year old will be $50, normally $125. The fee for dogs over one year old will be $100, normally $225. But that’s not where the giving ends! All adopters will also receive a $20 gift card to Ellie’s Pet Barn in Holden, free entry to Sheri Bready’s Valentine’s Day photo session, and a bag full of goodies. All visitors will be entered to win a door prize raffle that includes a pet photo session with Sheri Bready. At the “Home for the Holidays” Sheri Bready book signing of her recent publication “How Dogs Make Cloud Pictures”, featuring the dogs of WARL, Bready will be working hard to the final dog left in the book that hasn’t been adopted. Whoever adopts Azalea will receive the print from the book as well as a free photo session. As the holidays near, it is nice to see everyone pitching in to help these animals find loving homes. Head over to WARL this weekend to meet the pets that may one day become a part of your family. WARL is open 12 to 4 every day. Learn more about WARL at http://www.worcesterarl.org/. 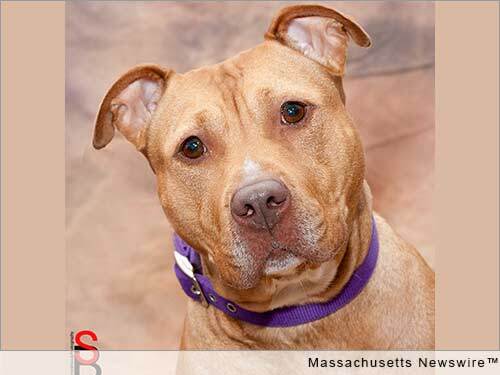 Non-profit Worcester Animal Rescue League is one of the largest no-kill, limited intake animal shelters in the region. WARL, a 501(c)3 charity, prides itself on not establishing a time limit for healthy and adoptable animals, and the staff and volunteers work constantly with foster homes, rescue groups, and other shelters nationwide to place animals in the best possible circumstance. WARL is located at 139 Holden Street in Worcester, MA. Contact WARL at (508) 853-0030 or visit them online at www.worcesterarl.org or facebook.com/WorcesterAnimalRescueLeague.